Now, as the the traditional academic year is moving towards its end, here is part two of our overview of what current and past Fulbrighters have been up to over the year 2018, regarding their Fulbright projects and also in terms of sharing their experience both locally and globally. In autumn-early winter of 2018, Alexey Karapetyants, grantee of the Visiting Scholar 2018-19 programme at University at Albany, SUNY (Albany, New York), gave talks at seminars by the departments of mathematics at a multitude of universities around the U.S. Professor Karapetyants is Head of the Department of Computer Software and Automated Systems at Don State Technical University, Professor of the Department of Differential and Integral Equations at Southern Federal University, as well as also Head of Regional Scientific and Educational Mathematical Center of Southern Federal University. Partially supported by the Outreach Lecturing Fund (OLF), Alexey gave talks at Syracuse University (Syracuse, New York), Kent State University (Kent, Ohio), University of Michigan (East Lansing, Michigan), University of Toledo (Toledo, Ohio), and University of Alabama (Tuscaloosa, Alabama). Olga Sysoeva, lead researcher of the Center for Neurocognitive Research at Moscow State University of Psychology & Education, currently a Visiting Scholar 2018-19 at the Albert Einstein College of Medicine, Neurophysiology Laboratory at Department of Pediatric Neuroscience (New York), has been largely involved into cultural life of her host environment. Olga has visited a few get-togethers in New York organized by the One to World, travelled to different places and met with other Fulbrighters from different countries. She took part in such events as Fulbright New Year Holiday party, Fulbright Reception Party, Apple Picking in Fishcat Farm, the Dia:Beacon museum, and Fulbright Enrichment Seminar on Leveraging Strategic Innovation and Entrepreneurship for Long Term Success held in San Diego. Olga also arranged a small tea party to introduce her colleagues to the Russian Orthodox Christmas Holiday on January 7th. Tatyana Karamysheva, Visiting Scholar, 2011-12, Senior Scientist at the Institute of Cytology & Genetics, Russian Academy of Sciences, Siberian Branch, a tireless organizer of Fulbright events in the past, has continued tainting her Novosibirsk RAS colleagues with fondness for table tennis. She hosted three tournaments, including the "New Year Racket" on November 28, 2019. Tatyana reports massive enthusiasm from everyone involved and uses this opportunity to promote the Fulbright program too. 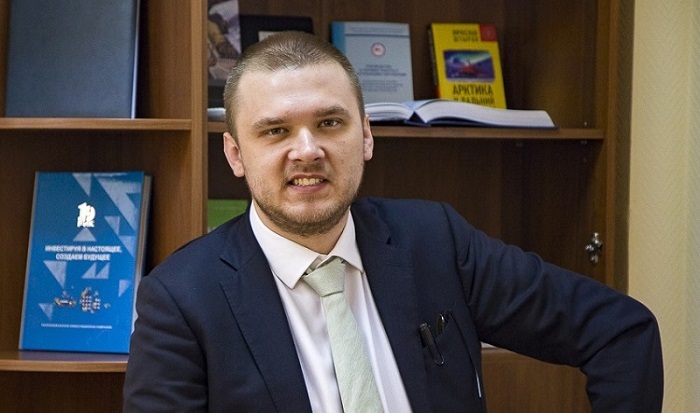 Aleksandr Kondrashin, alumnus of the Visiting Graduate Student program 2015-16, is now Head of Agency for Investment, Attraction and Export Support of Republic Of Sakha (Yakutia). Alexander claims that the obtained degree of Master of Public Policy supported by the Fulbright grantprepared him for his current career in the state bodies of the Russian Federation. THe specializes in the field of development and analysis of government programs with a focus on attracting investments which allowes him to use the new skills, knowledge and a unique network of acquaintances in his position. Tatyana Sofronova, alumna of FFDP 2008-09 program, Associate Professor at the Krasnoyarsk State Pedagogical University, shared her research at the conference in University of Lorraine (Nancy, France) where she is doing her postdoctoral internship. Tatyana won the international competition for short–term postdoctoral mobility program "Atlas". At the conference she spoke of the development of a multilingual network resource for comparative and contrasting representation of scientific terminology. Photos by A. Karapetyants, O. Sysoeva, T. Karamysheva & YSIA.RU.